Rebecca Rachael is a highly sought after Makeup Artist with more than a decade of professional experience for private clients as well as the Entertainment Industry. A naturally gifted artist, she trained formally in the world of the Arts with years of study to her credit. This has made her top in her field and a master in Beauty, Video, Print with a specialty in High Def Makeup. Her professionalism and Talent has made her an invaluable asset to such high-profile clients as Former Russian President Mikhail Gorbachev, Presidential Candidate and Governor Mitt Romney, and Former First Lady and Senator Hillary Rodham Clinton. Rebecca has become one of the go-to girls in her Industry. Her demanding schedule caters to production companies responsible for the growth of "Hollywood East." She has served as Department Head in both independent and feature films, and worked for Showtime Television. Also a teacher, she travels to Europe frequently as the American Liaison to the Irish Government where she conducts Seminars teaching her craft to a wide range of Students. 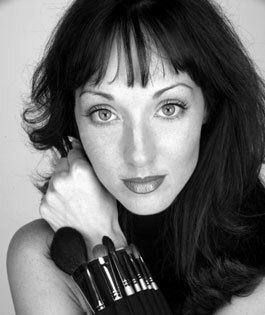 She is a contributing monthly columnist for Bridal Showcase Magazine, and travels world wide as a Premier Makeup Artist for the Clairol Pro and Wella Show Teams. Rebecca is also an established inventor, and holds the patent for a revolutionary beauty tool designed specifically for professional makeup artists and Stylists. The first of its kind, Her product, The Brush Sleeve®, is currently sold in 86 countries. As well as being an in demand Makeup Artist, Rebecca is also a successful Model and spokes model.